It is now February! The plum blossoms are out and the cherry blossoms will be here soon! Winter is almost over. 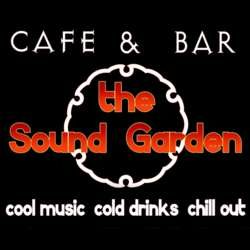 Come down to the Sound Garden Bar in Shinsaibashi and meet some old friends and make some new ones! Invite a friend or two and hang out with a group of interesting people in a relaxed, non-smoking environment. Starting around 9 pm, there will be live acoustic music. You can hang out and listen to great live music! Mark your calendars. It will be a fun night!